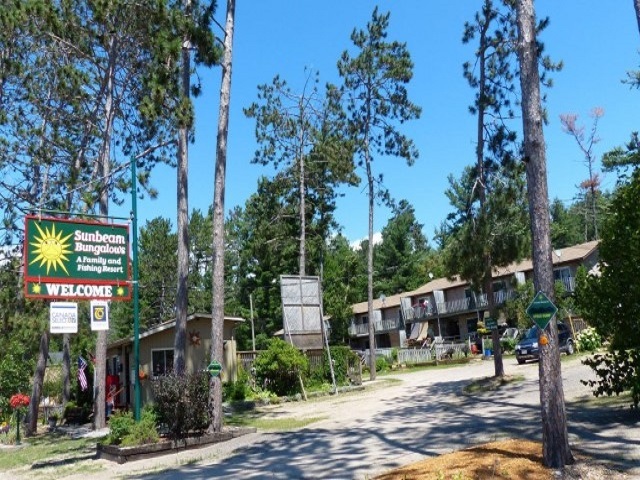 Sunbeam Bungalows is located on the shores of Lake Nipissing in the attractive small town of Callander, Ontario. Enjoy a relaxed lifestyle within 10 minutes drive of the shopping and cultural attractions of the city of North Bay. Our 1, 2 and 3 bedroom self-catering cottages are clean, spacious, fully furnished, with fully equipped kitchens. They have open concept kitchen & living room area, 3 or 4 piece bathrooms, and are made up and ready for occupancy. The spacious, protected marina is home to our fleet of 16 ft Legend boats, equipped with 25 hp 4-stroke Mercury motors (option to add rental of a trolling motor), swivel seats, color fish finder and more. 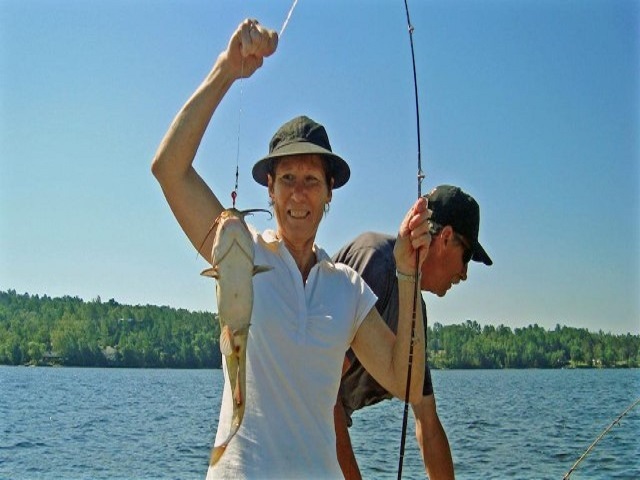 Fish in sheltered Callander Bay within sight of our resort or venture out as far as you wish. 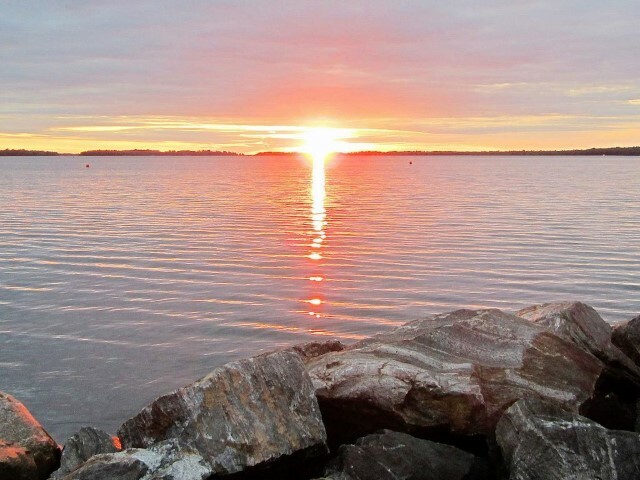 Lake Nipissing is world-renowned for its fishing; favorite catches are pickerel (walleye), great northern pike and Muskie, plus you’ll find smallmouth bass, largemouth and rock bass, yellow perch, and a number of other species. If you bring your own boat(s) in the summer months, we’ll provide free launching and docking for up to two boats, and include free use of all of our facilities, including our fish cleaning hut and freezer service. 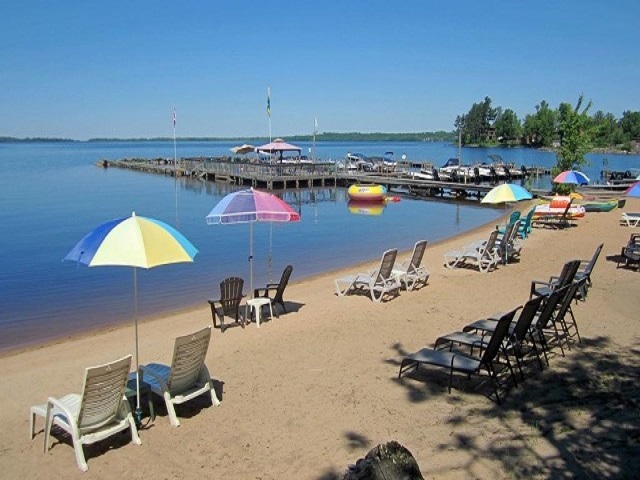 If you feel like relaxing, try the marina sundeck with lounge chairs, BBQ, picnic tables and umbrellas, or enjoy our long, sandy, private beach, where the water is reliably shallow for carefree swimming or splashing, and the sand is perfect for lazing in the sun or playing. Fish, play and relax at Sunbeam Bungalows!